Everything you need to enjoy wine al fresco! 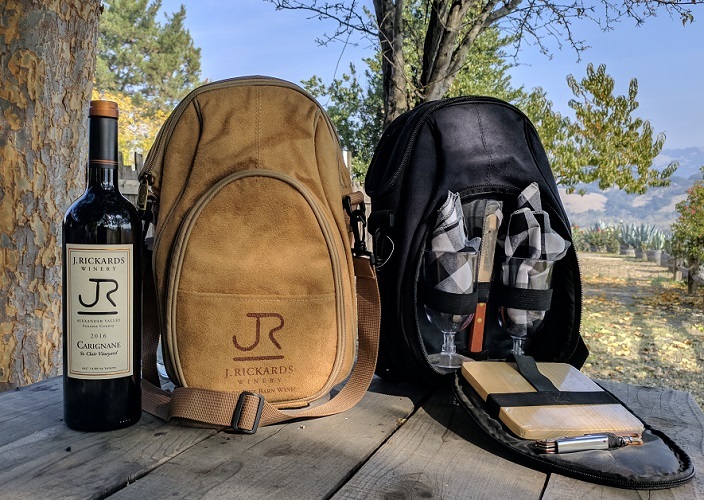 Our durable, insulated picnic totes hold two bottles of your favorite wine, and include a small cutting board, knife, wine opener, two plastic wine glasses, and coordinating cloth napkins. Just add wine for a one-of-a-kind gift! Choose black or tan.